What is LOVE, Dr. Cookerly? : Does "Cougar" Love Work? 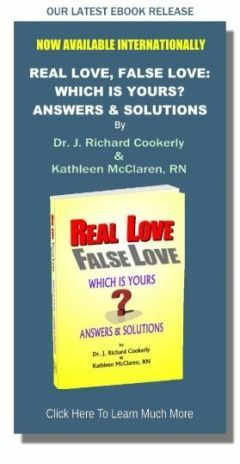 Synopsis: The widespread criticism of Sonia and Christopher; defiant love; ‘cougar’ defined; research surprises; what most couples can do; ageism; Jan’s wisdom. Then she collapsed into a chair with a very ‘downer’ look on her face. I softly replied, “What do you suppose you really want the truth about this to be?” Sonya became contemplative and after a short bit said, “I want two things. First is to know, even though I’ve been living what everyone disapprovingly calls a ‘cougar’s lifestyle’, can I have a lasting love with Christopher? Second what can he and I do to make this a lasting love and avoid all the doomsday predictions I’m getting about this relationship?” She then went on to tell me about him and related that he was the seventh younger man she had seduced and enjoyed but she found Christopher to be, as she called it, ‘a keeper’ if ever there was one”. That interchange was a few years back and with the help of individual, couples and some family counseling Sonya and Christopher seem to have created a really successful, love-filled, healthy, happy lifestyle together. Their friends and family were quite difficult for awhile but now that part of their life is functioning in at least an acceptable fashion. Interestingly both Sonya’s and Christopher’s grandparents turned out to be the most welcoming and inclusive while some of the younger family members were the most excluding and condemning. Originally the term ‘cougar’ meant an older woman who was assertively going after having ‘flings’ with younger men or sometimes younger women. Commonly the female was 10 or more years older than the person she was involved with. Sometimes the term was used, and still is used in a very derogatory way. More recently the term has come to be applied to older women who have long-term relationships, sometimes including marriage, with a person ten or more years younger than they are. Research on ‘cougar’ relationships is a bit sparse but so far the findings indicate ‘cougar’ relationships surprisingly are a growing phenomenon. Likewise, it seems a portion of those ‘flings’ turn into lasting, successful ‘cougar love’ relationships. Most ‘cougars’ seem to be rather assertive, successful in their careers, often financially independent women comfortable with sexuality and fairly adept at being loving and lovable individuals. Their lovers are thought to have less than average emotional baggage, hang-ups and difficulties and are seen to usually try harder at romance, along with being refreshingly democratic and egalitarian about gender roles. These lovers are seen to focus on doing psychological love well and being very sexually adaptive. From my point of view the truth is this. Most couples who grow enough love and do the work of learning how to do their love well can succeed no matter what their differences. ‘Cougars’ and their lovers are no exception, although there are some special difficulties to handle. The common, big problem for ‘cougars’ and their lovers seems to be handling society’s negative, prejudicial opinions about ‘cougars’ and their younger lovers. Some social scientists are predicting resistance to the ‘cougar’ type of relationship will fade as more and more couples engage in this type of relationship and, therefore, more and more succeed. 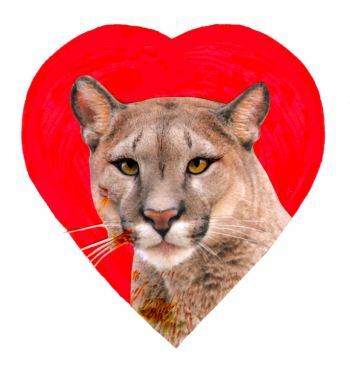 In the social sciences anti-cougar pressures are considered to be an outgrowth of ageism (for an in-depth review see the entry “Should Age Make a Difference – in Love?”). Ageism which includes age segregation, age differentiation and age prejudice is thought to be a needless and even destructive social dynamic among a number of cultural critics, and that thinking seems to be spreading. From what I’ve seen in my practice ‘cougars’ and their lovers are like all people in couples relationships. If they work at it they can learn the major ways of showing love, receiving love, cycling love and growing love. When they do that their chances of creating a healthful, lasting love grow dramatically, no matter what their differences. What happens inside you when you hear or read the words ‘cougar’, ‘cougar lover’, ‘cougar lust’, ‘cougar’ approaching, ‘cougar fling’ and ‘cougar love’? Should Age Make a Difference — In Love?